What makes life meaningful? For me, part of the answer has always been movement. The ability to move forward through situations, to walk, to run. The understanding of the devastation with cessation of movement has allowed me to work with patients to meet their goals in physical therapy. To stop moving is to pause life, and a person shouldn’t have to pause life just because of a change in their physical status. Cybathlon is fast approaching. It is the culmination of what is great about technology, creativity, and human adaptability: pairing assistive robotic devices with disabled competitors in what will be the first ‘Cyborg Olympics.’ Since first writing of the event 2 years ago, I’ve been eagerly awaiting which products will support the pilots in each of the six disciplines. The website is now updated, and the event is set with the teams, which include pilots (competitors) and the respective assistive robotic technologies which they will be using for the race. I’m looking forward to exploring and writing of the different technologies which the pilots will be using. 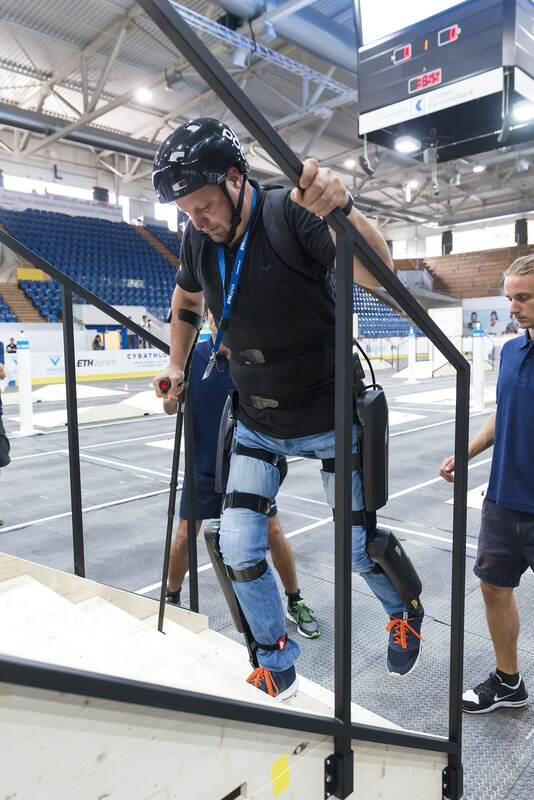 Beyond just the competitions, however, Cybathlon aims to connect academia, industry and the general public while bringing awareness to the issues surrounding those with disabilities. The event was created by a professor of ETH Zurich to connect these realms, and prior to the event there will also be a synopsium where researchers and experts will be able to discuss the technology surrounding the event. Truly Cybathlon is amazing, from inception to organization. The event provides a platform not only for the athletes, but also for researchers and creators. The goal here is not opportunism, but rather progress and communication. From here, there can only be further advancement of human movement for those with disabilities.